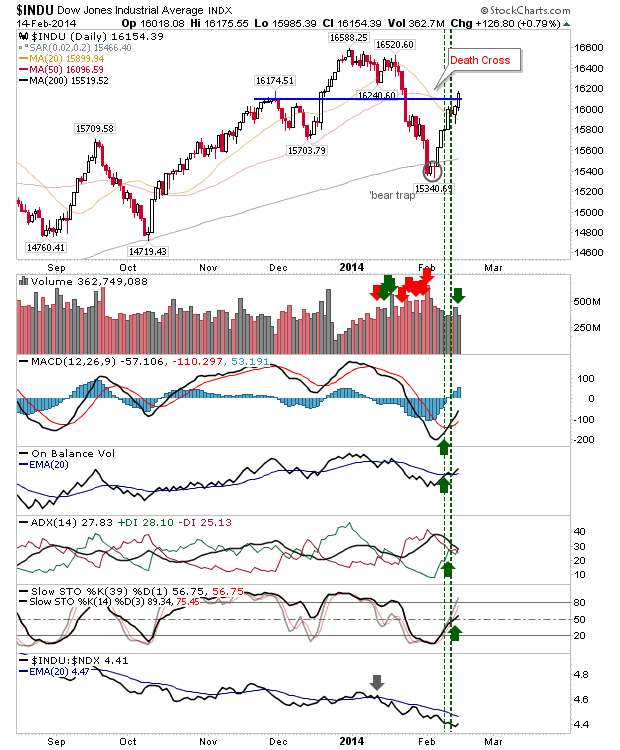 The Dow was the most bearish of the indices heading into Friday, but despite the lighter volume it was still able to push above resistance, negating the breakdown. Friday's gain didn't do much to slow the relative strength loss against the Nasdaq 100, but with technicals net bullish it does mean weakness should be bought (until technicals turn net bearish). The Russell 2000 posted the smallest of gains. It doesn't change anything, but keeps the index net bullish technically. 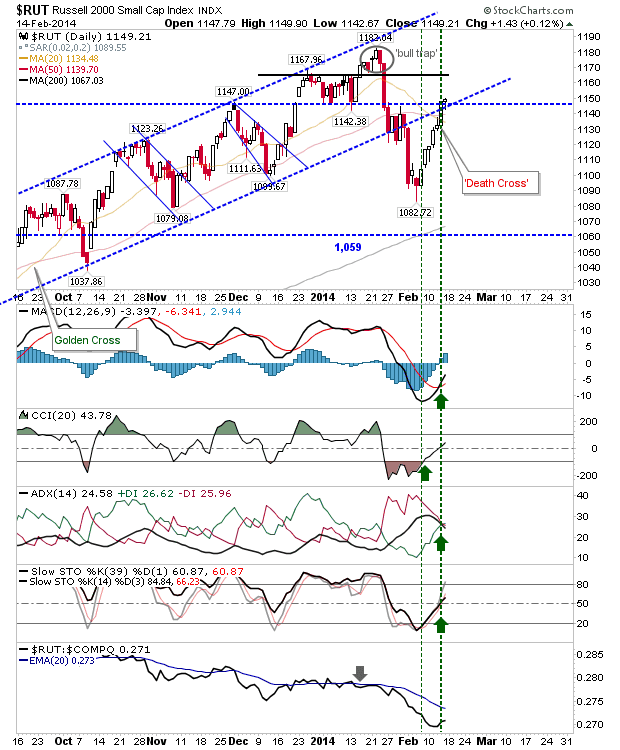 The Nasdaq kept its breakout intact, again, on the smallest of margins. 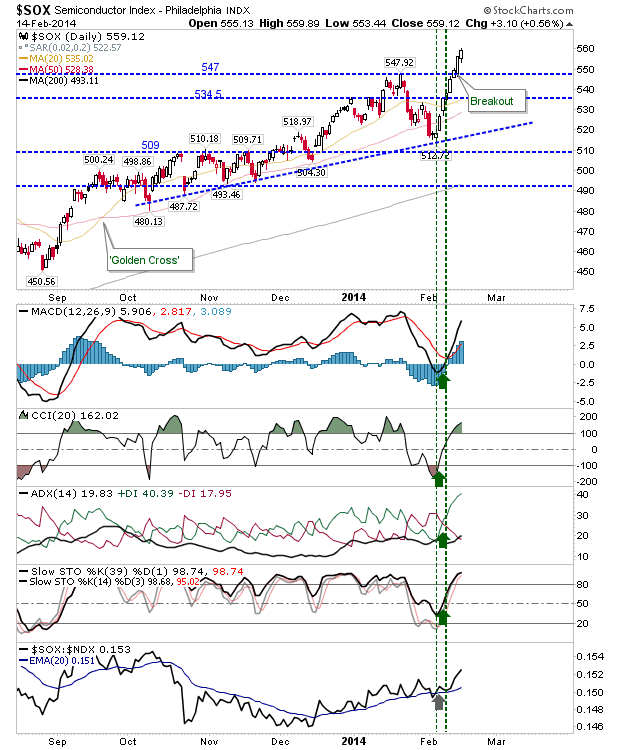 The semiconductor index was able to build on its breakout, which is good news for the Nasdaq and Nasdaq 100 as they look to build on their respective breakouts. In contrast, Nasdaq breadth is improving, but hasn't yet turned net bullish. The Nasdaq Summation Index is usually the best proxy as the reversals are relatively noise free. The rally is in play, but it hasn't totally reversed the bearishness which powered the recent decline. 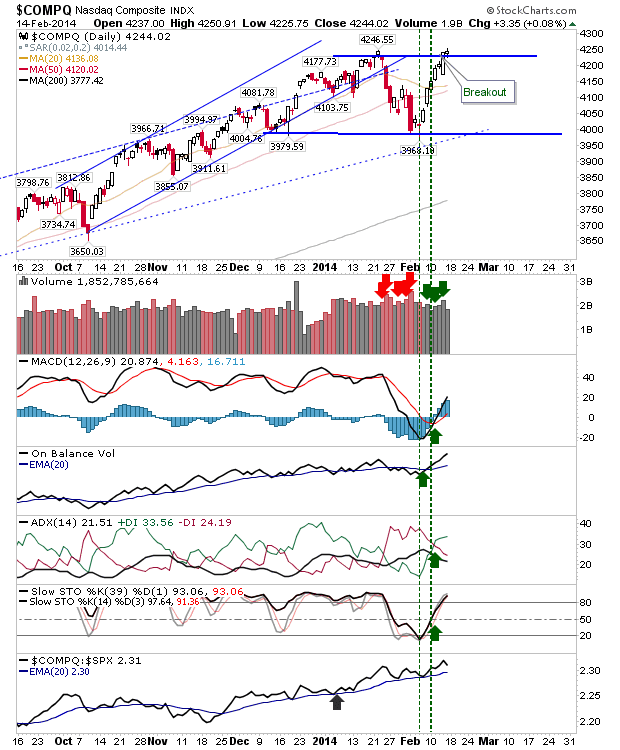 Bulls need to be cautious. The Percentage of the Nasdaq Stocks above the 50-day MA will be the first to turn net bullish (but is also the breadth metric most vulnerable to market noise). Next week should see weakness make an appearance. 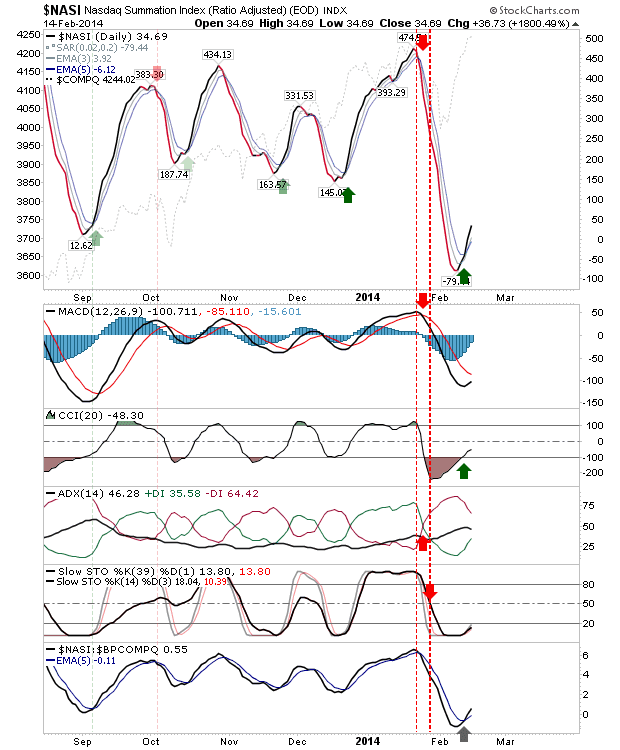 How the indices react will be important; the rate of advance and net bullish technicals of parent indices suggest a pullback will be a buying opportunity. 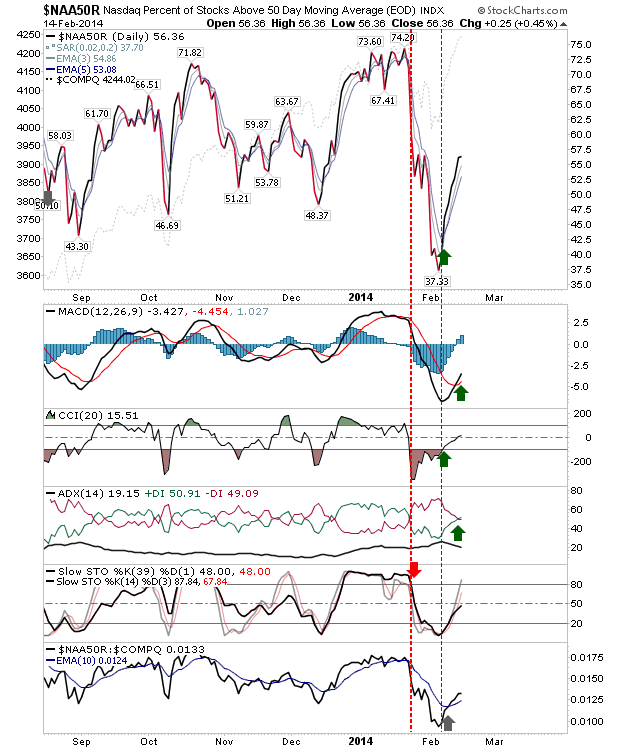 But one need to be mindful of breadth which has maintained an element of fear in the market.